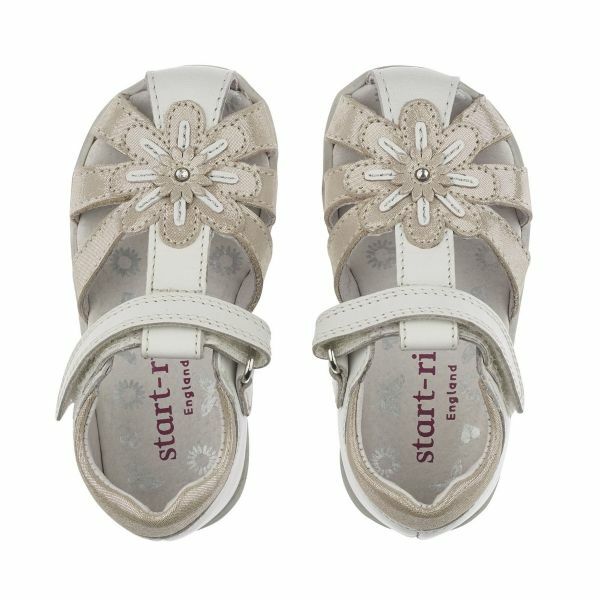 Our bestselling closed-toe sandal keeps fragile toes safe. 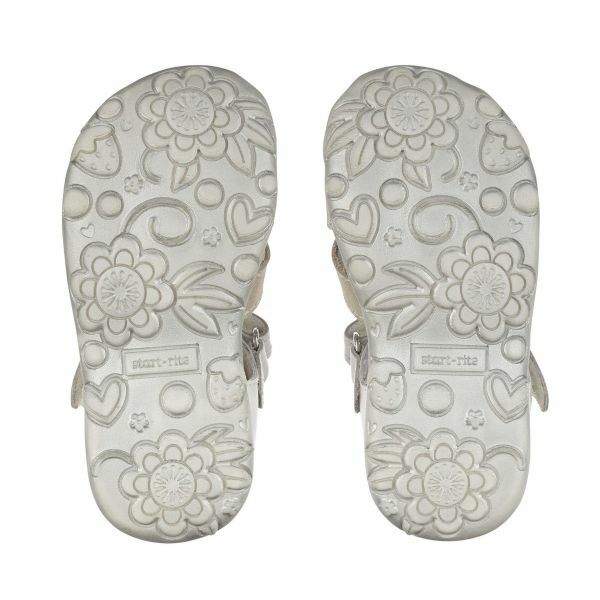 All day protection for long summer days with a closed toe and back. 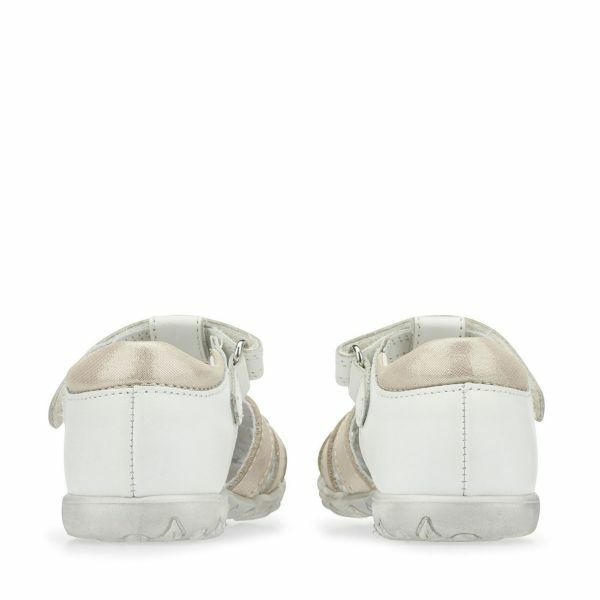 Made with the softest white and silver leather, extra comfort features include padded ankle and leather lined upper and sole. 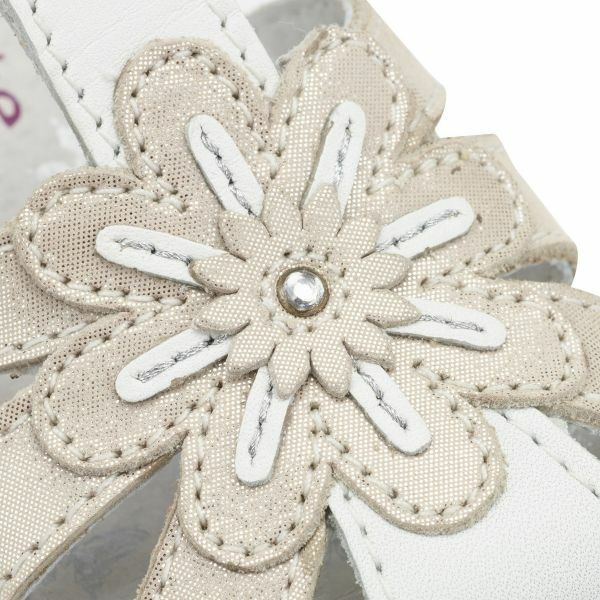 Trimmed with a pretty primrose to the toe, these girls sandals are the perfect pair for stylish summer fun.